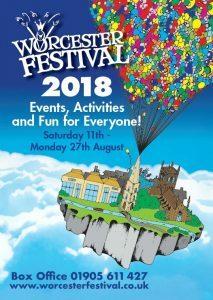 Worcester Arts Workshop and Dancefest have joined together to bring children and young people three days of creative workshops in visual arts and dance, with a different theme being explored each day. Warm up, learn a short sequence and create your own dance. This workshop is suitable for ages 8-11. Pre-booking essential.